You know those days where it just feels like you've got the weight of the world on your shoulders? Maybe work's been busy and things are getting on top of you. Maybe you've had a string of deadlines and you've been working under high pressure for way longer than you should have done. Whatever the reason, sometimes we all need a little R&R to unwind after a stressful day, week or month. And after a pretty hectic couple of weeks (and with more looming ahead of me), I thought I'd put together a post on how to unwind and give yourself a little headspace... should you be in need of it too! I'm not saying when things get stressful you should run away from your problems... but, come on. There's nothing like checking into a nice hotel (like this luxury Suffolk hotel), somewhere pretty far away from home, to chase away your troubles. Breakfast in bed, long lie ins and soft white sheets. What's not to love? 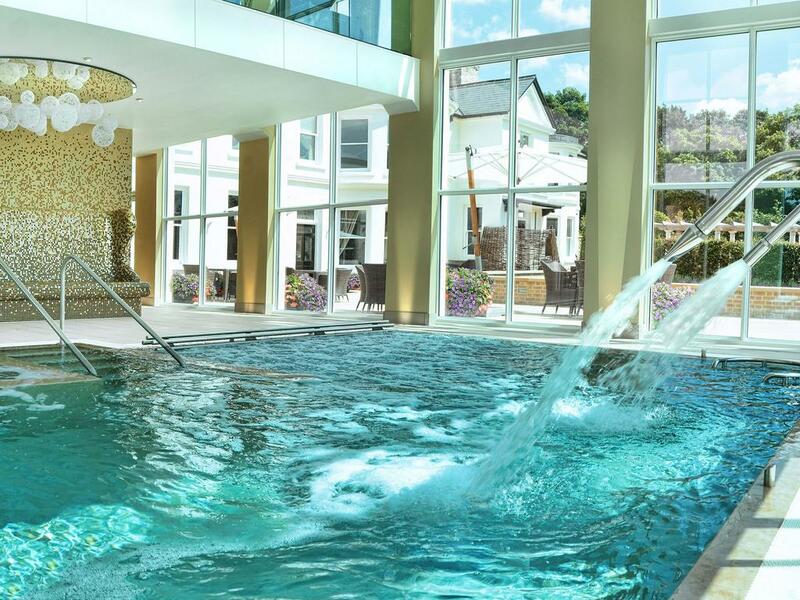 And even better, check into one with a luxury spa and indulge yourself in a treatment or two. Or maybe just give yourself a couple hours to hang out by the pool and do nothing but lose yourself in a magazine or two. I can practically feel your stress melting away already. Despite being a chronically messy person, I'm still a firmer believer that a tidy room equals and a tidy mind. And I'm even more so a believer that a tidy, nicely scented room can really do wonders for your relaxation. 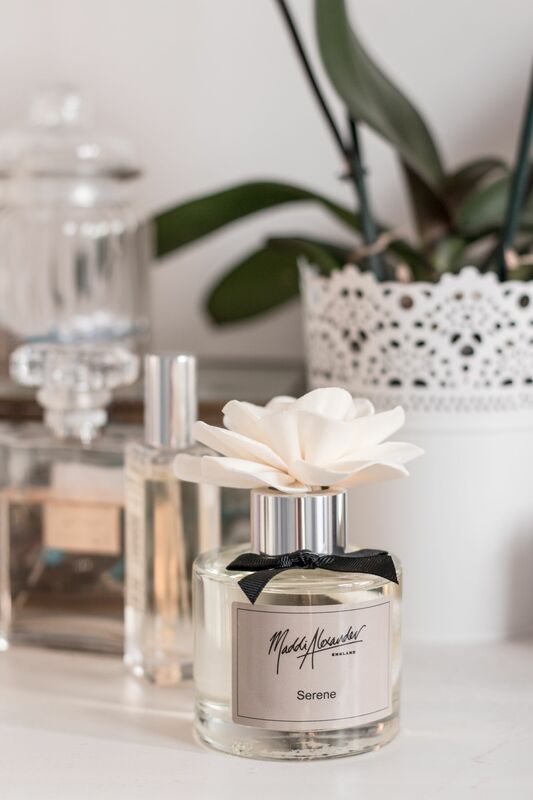 My favourite scent right now is Maddi Alexander's incredible Serene room diffuser. A relaxing blend of lavender and geranium, it's the perfect thing to soothe busy minds. It was only a couple of years ago that I tried out yoga for the first time. I was feeling pretty stressed with my work situation and everything was getting a bit on top of me. A friend suggested I maybe give it a go and see if it helped. And honestly, if you're looking for ways to unwind, there's nothing like it. I recently tried out one of Weight Watchers new mindful movement classes and what really surprised me the most, was that flow classes can be super easy to fit into your daily routine. The movements we practised were gentle but designed to invigorate, and despite being dressed entirely inappropriately in a shirt and smart loafers, (I had a meeting straight after), I felt pretty comfortable with all the movements. Just goes to show you... taking a few minutes for a little mindfulness doesn't have to interfere with your entire day. I swear I could spend hours in the bath. Friends joke that I'm something of a water baby but honestly, there's nothing I love more than spending a few hours soaking. Give me a good book and a great smelling bath oil or loads of bubbles and I'll quite happily while away the hours until I'm all wrinkly. For me, bathtime is always a bit of an excuse to escape the world around for a little. Whether it's a lazy sunday afternoon or jumping into a steaming bath after a long day, it's the perfect way to unwind at home. I've always been something of a night owl. I'm not sure why but my mind just seems to work better after 6pm and I don't function well before 11am. It's always been that way. And despite trying my hardest to reset my body clock, I just can't shift into the morning person mindset. I also have trouble sleeping, so if I'm feeling particularly drained or stressed out then treating myself to an early night is sometimes just the ticket. I grab a book, switch my phone to flight mode and let myself sink below the covers. 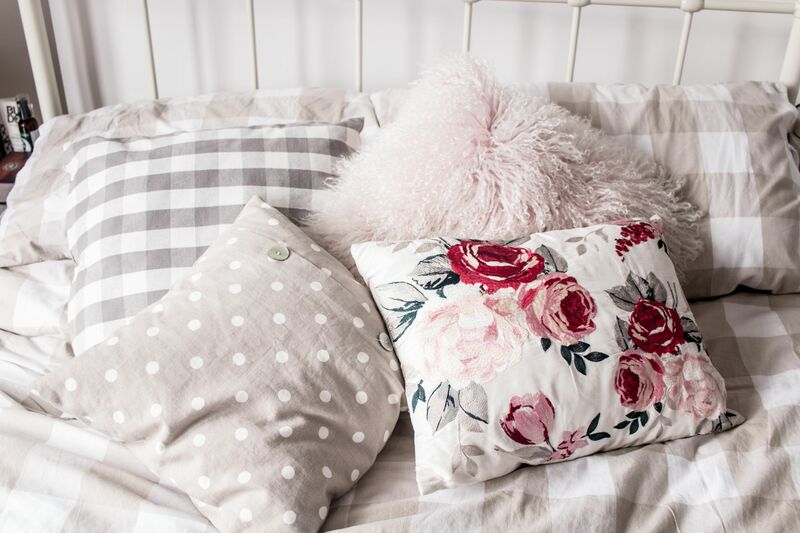 If I'm feeling particularly energetic beforehand, I might even treat myself further by putting fresh sheets on the bed before my early night! Some people love background noise. They can fall asleep watching TV or they like to get lost in a great documentary. But nothing relaxes me like getting lost in a great book. I don't do well trying to read (or write) in noisy or distracting settings. Maybe the sound of the rain or falling snow outside to make it more romantic, but really I need nice white silence. There's nothing like losing yourself in the pages of a great novel. You know the kind that makes you feel almost upset when you finally reach the end? I'm keeping track of my reads on Pinterest but I feel like it's been ages since I've read one that I've been completely utterly gripped by. So any recommendations for great reads to lose myself in for a few hours, very much appreciated!